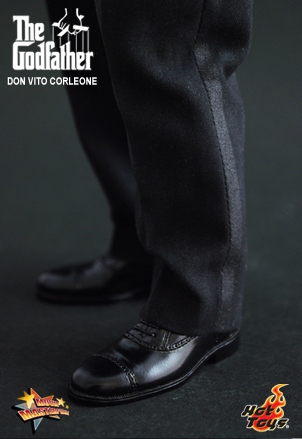 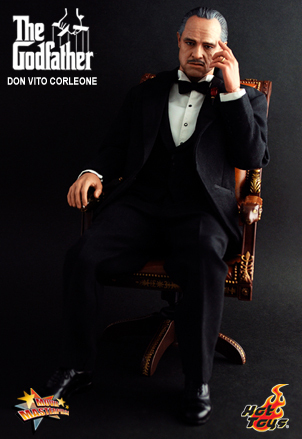 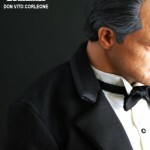 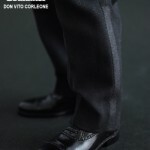 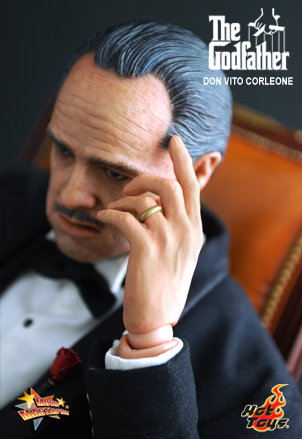 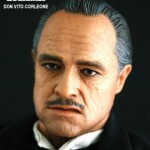 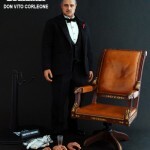 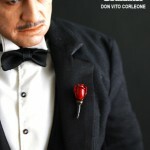 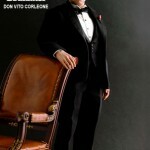 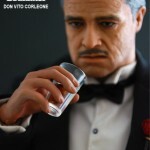 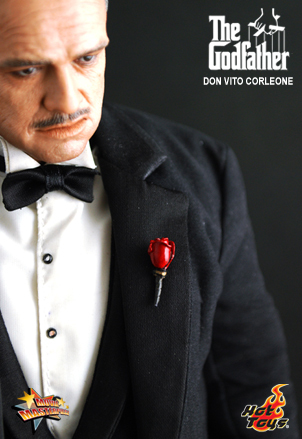 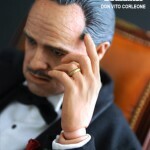 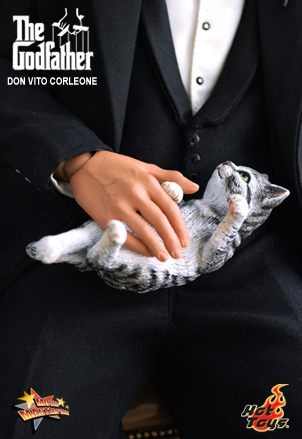 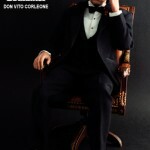 Hot Toys has revealed some great new images of their upcoming Don Vito Corleone from The Godfather. 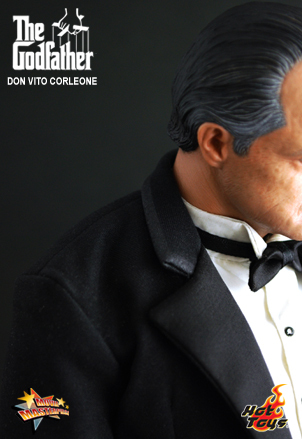 The figures sports an amazing likeness of actor Marlon Brando from the film. 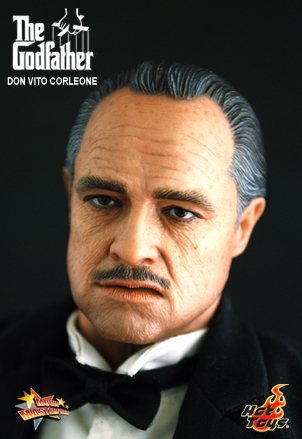 Hot Toys and Sideshow Collectibles are proud to bring you the best ever 1/6th scale Don Vito Corleone collectible figure from the legendary movie – THE GODFATHER. 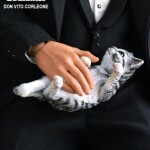 – Comes with accessories including the famous chair, his cat and a glass. 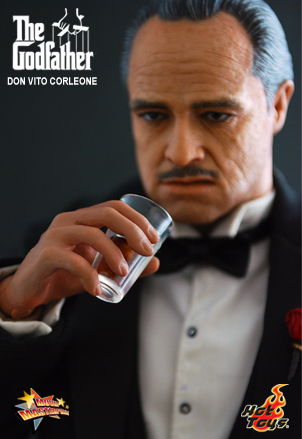 – Includes two sets interchangeable hands and one hand for holding the glass. 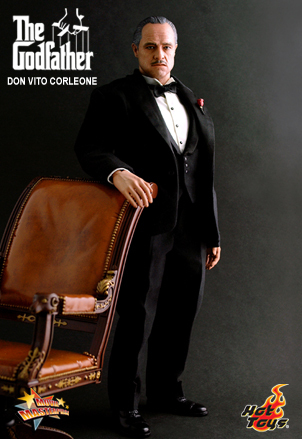 You can see more pictures by clicking the headline of the story. 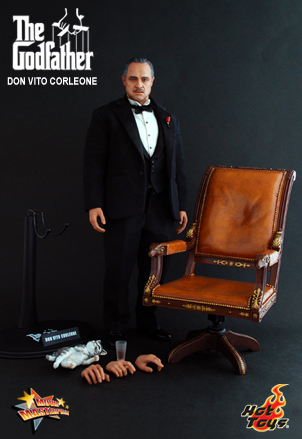 The product page can be seen Here.